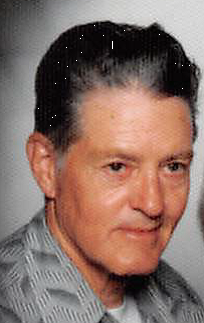 Keith O. Enfield, beloved husband, father, grandfather, 96, passed away Saturday, March 23rd, 2019 at Bothwell Hospital, Sedalia MO. Funeral services: Overland Park Funeral Chapel, Overland Park KS. Burial at Maple Hill Cemetery, Kansas City KS. Keith was born May 9th, 1922 in Birmingham, Missouri. He married Mildred Ruth (Menzies) Enfield July 3rd, 1940. Keith taught school in a one room schoolhouse in Morrowville KS. After the birth of their two children, they made their home in Kansas City, KS. Keith was drafted into the army during WWII and served on the railroad. Upon returning from the service he went to work for Union Pacific railroad, ultimately changing careers to work for and retire from TWA. Upon retiring , Keith and Mildred moved to their farm in Smithton MO. Keith was an active Teen Town sponsor in KCKS, enjoyed driving the shuttle tractors during the Missouri State Fair, driving his 1928 Model A in parades and car shows and was a member of the Model A Club in Sedalia. Keith and Mildred enjoyed countless summers spent with family at their cabin on the Lake of the Ozarks, teaching grandkids to ski, fish, and sail. Keith was preceded in death by his wife, Mildred, his sister, ElsieMae Wyman, his brothers AJ and Neal Enfield and great-grandson Daniel Poore. He is survived by his son Gary (Tonita) Enfield, his daughter Jeanne (Larry) Poore, and his grandchildren Karen Spencer (Brett), Kandice Enfield, Darryl Poore (Debbie) , Keith J Enfield, Natalie Hutchison(Richard), Kandi Marsh (Scott), Angela Lerma. Great grandchildren Dustin Spencer (Allison), Amanda Easley, Krista Erickson (Braden), Rachel Hutchison, Kayla Poore, Kaitlyn Kling (Jordan), Cody March, Troy Marsh, Saige Enfield, Brooklynn Enfield, Glen and Ashley Borck and several great, great grandchildren.